This male Barrow's Goldeneye was present for several days at Denison's Loy Lake, in Grayson County, in early January 2002. 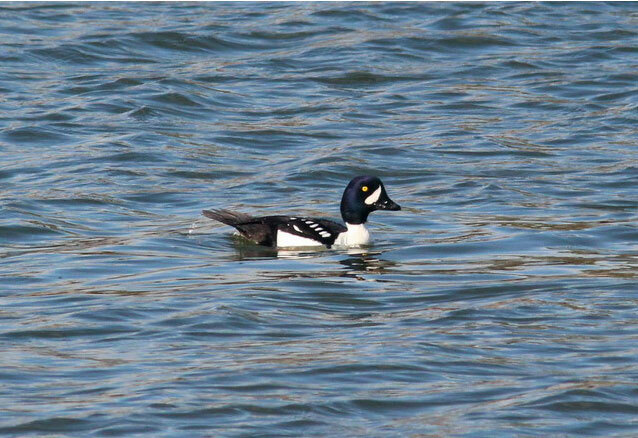 It was accompanied by a female Barrow's Goldeneye and several Common Goldeneye. Barrow's Goldeneye (F) - Tarrant Co., December 12, 1998. Fort Worth, TAR (TBRC 1999-01; TPRF 1980) . This specimen (now mounted in a private collection) of an adult male Barrow's Goldeneye was shot by a hunter on a small pond near Greenville, in Hunt County, on November 6, 1958, and provided the first Texas record of this species. The male was reportedly accompanied by two females, both of which were apparently shot, but not preserved. 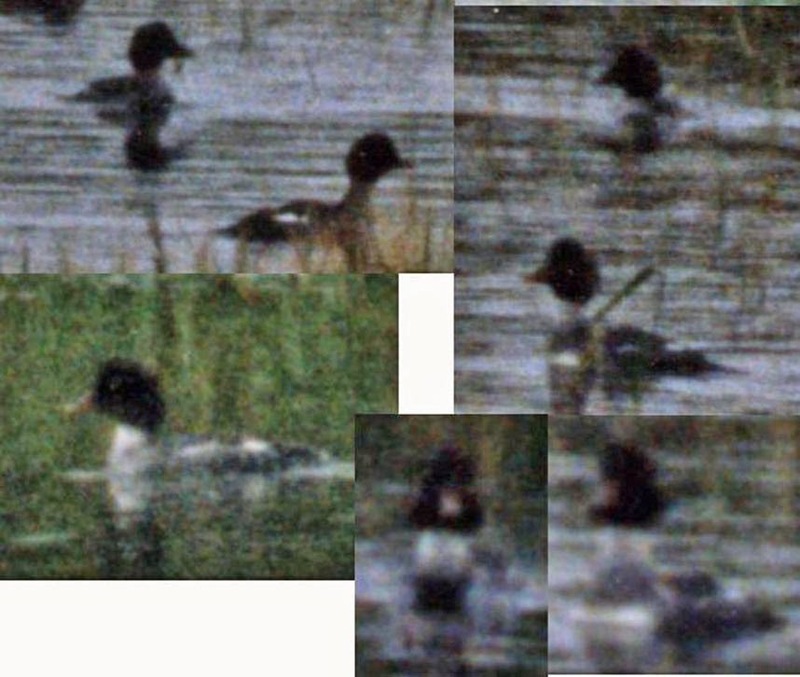 Barrow's Goldeneye - A female at Village Creek Drying Beds, Tarrant, from 11-12 December 1998 (MR; 1999-01; TPRF 1980).